What attracted me to the position of communications manager for Michigan’s Calhoun County was the opportunity to create the communications infrastructure. I walked in ready to address outreach, but I found that internal audiences were curious about what was going on countywide, too. I am in a unique position to bridge the gap between administration and employees. Our county government is decentralized and as communications manager, I get to listen to the stories of each department, maybe more in-depth than other administrators. That motivated me to assist with internal communications. Also, I had moved to Calhoun County on my own. I was in a new city and starting a new job. I wanted to connect with the my new colleagues. 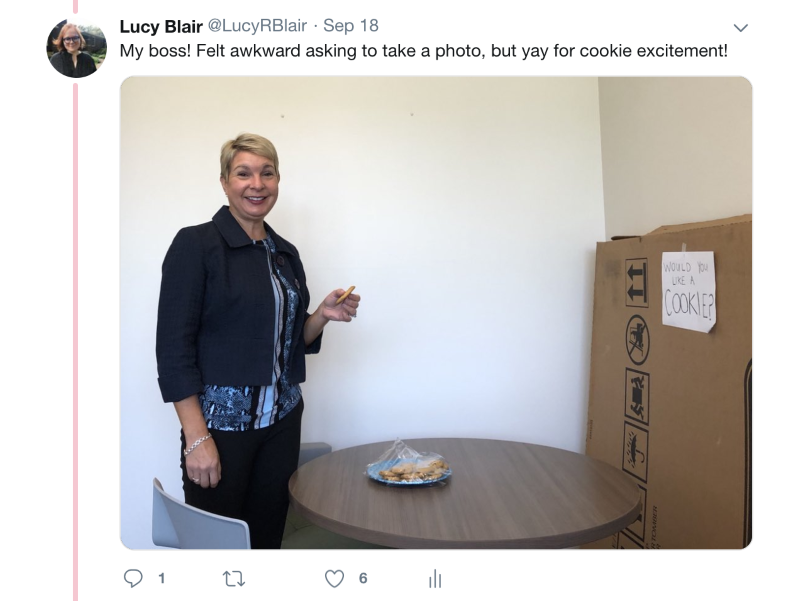 So in September, I made cookies and put them on the table in my office. 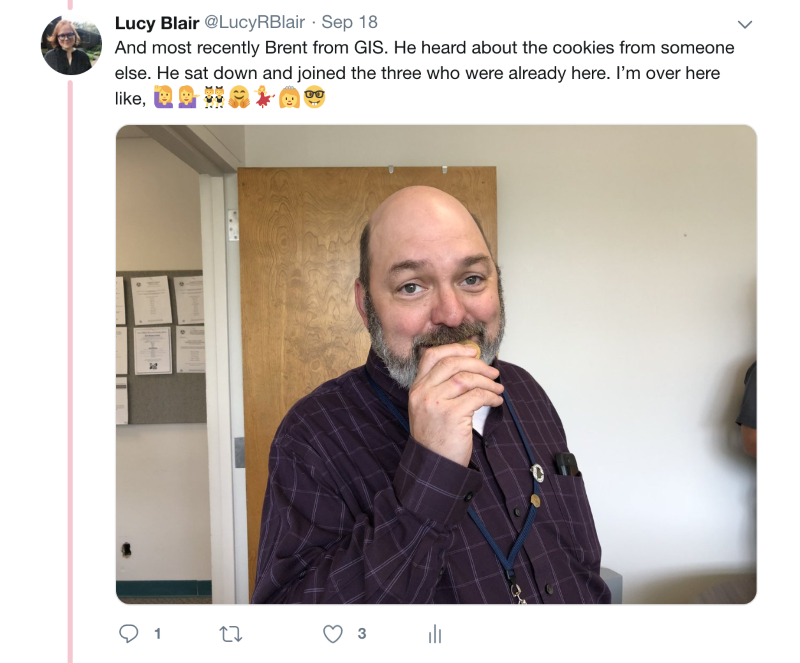 To make it extra clear that people could take one, I created a sign with an arrow that got right to the point: “Would you like a cookie?” I think I’m very funny, and I tweeted a photo of the arrangement. That was the start of the day. When the first two people came into my office that morning, I asked if I could take their photo. As the day went on, I took each person’s photo. What developed was a story I didn’t expect: I engaged with more people that day than I had since I had started my job. I cross-posted this fortuitous Twitter thread to my Facebook. It grew from there, and since that time, I’ve heard from at least two dozen personal and work friends who enjoyed it. 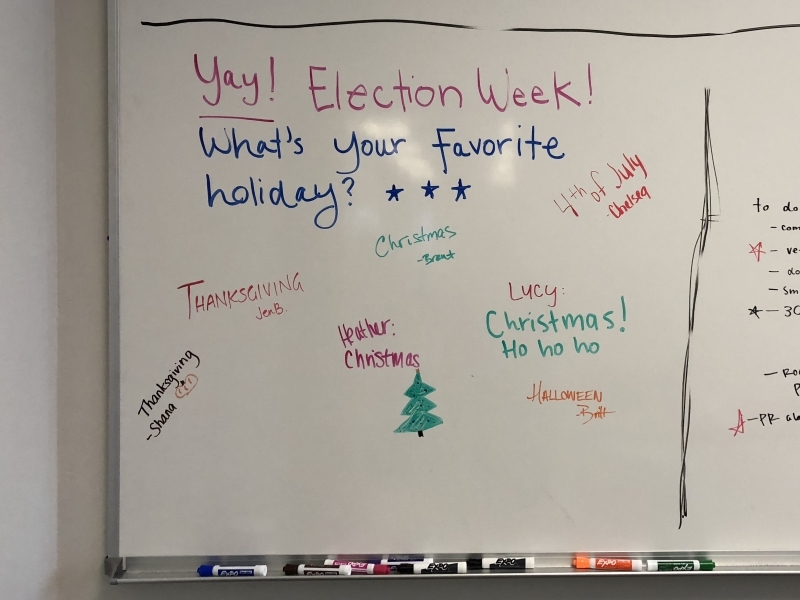 I consider it a valuable campaign because I publicly illustrated the part of the work day we look forward to but sometimes have a hard time capturing. Current employees are the best recruiters for new employees. 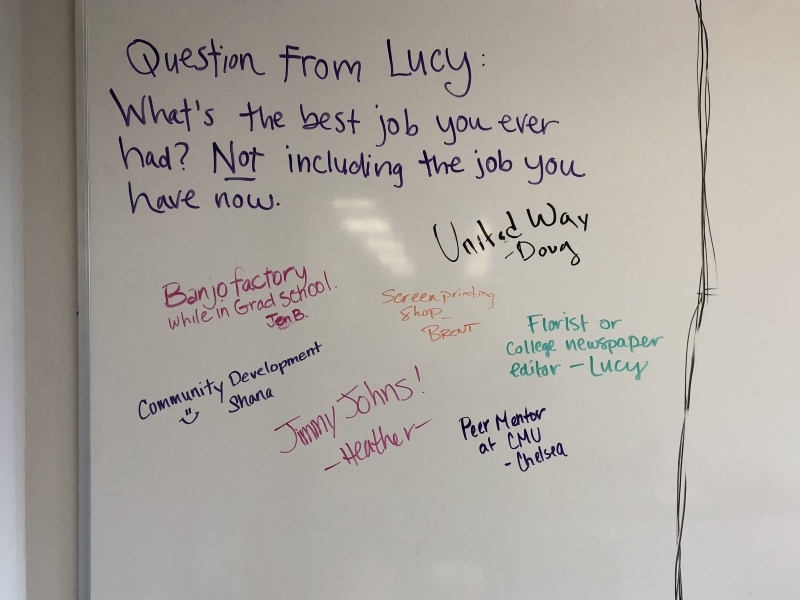 Prospective employees prefer to hear from people who work at a company rather than the administration or HR that is crafting recruitment materials. The challenge is giving employees space, information and encouragement to share their experiences. I enjoy the challenge of engaging with employees, especially digitally, because it’s the right thing to do. But the benefits of engaging meaningfully with internal staff are huge and in a decentralized government, it’s especially rewarding. Decentralized offices and the lack of resources for employee engagement inevitably lead to a disconnected workforce. Internal employees feel connected to one another and their employer. Internal employees feel more comfortable finding creative ways to engage with each other. General morale hopefully improves as employees enjoy their work day. When shared, residents learn more about the people who work in their local government. When done appropriately (and not too casually), these campaigns can make government feel more approachable. Prospective employees better understand whether they will fit in this work environment, hopefully leading to improved retention. Opening my door is a way for me to engage with coworkers and not feel alone in a brand new role. I’ve benefited tremendously from this. 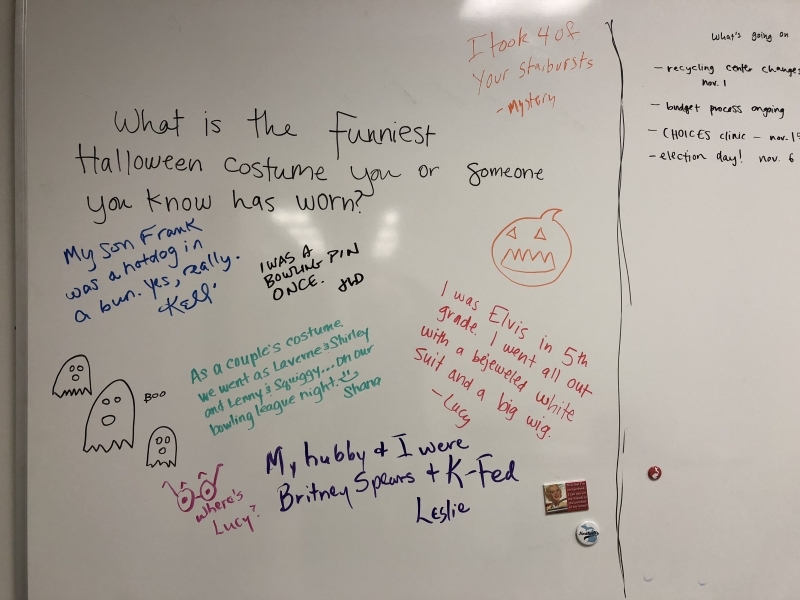 When a white board was installed in my office, I began writing questions for people to respond to—an invitation with fewer calories. Each week I invite people to respond. Now coworkers come upstairs to the administration office to answer my question—or for the candy basket I keep stocked. I’m not trying to create content-worthy moments. 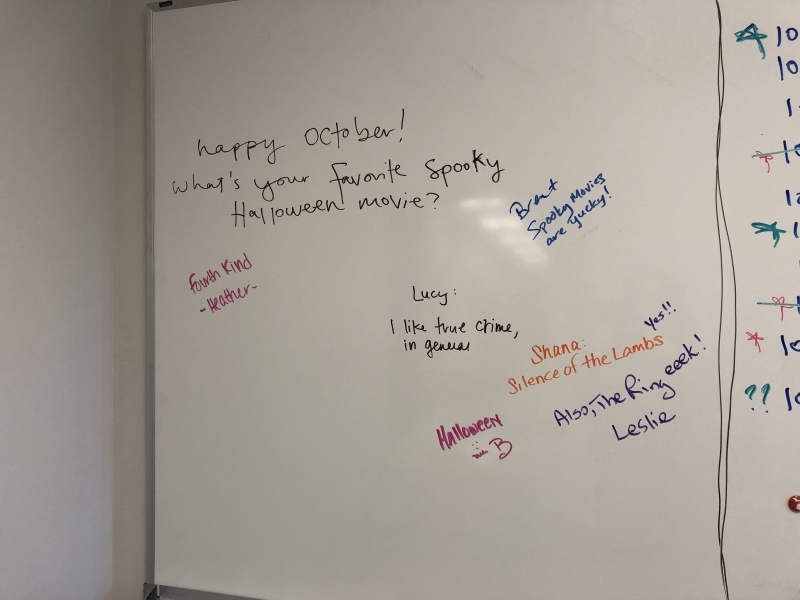 Instead, I’m doing this because it’s a way I can connect with all people in the building—not just those from departments I work with. I think that’s why this approach has worked externally. For many, work isn’t just 8 a.m. to 5 p.m. anymore. It’s a living and breathing entity in our lives. It’s important that every person feels they have a place at work. It’s an added bonus when we can find authentic ways to capture it. Moving the county away from PDF newsletters attached to an email. Instead I use an email marketing platform. This allows me to add photos and ensure content is in the email body. Most importantly, I’m able to track clicks. This allows me to optimize over time so that the newsletter can be useful for employees. I always give my email address as an easy way for people to send information. In my experience, putting a name to who wants to hear your story is more comfortable for some people. A hashtag for internal audiences allows people across the organization to see what other people’s work days are like or the range of activities that occur. To encourage participation, I’ve used incentives and promotional materials and referenced the hashtag on most internal communications. This hashtag was then used on recruitment materials or projected during events. Restricting employees social media use in your organization’s social media policy prevents people from feeling comfortable sharing. If negative social media from employees becomes a problem, how can you remedy the problem in a meaningful way? On the county’s policy, we encourage employees to send questions to the communications manager when they don’t know the answer.